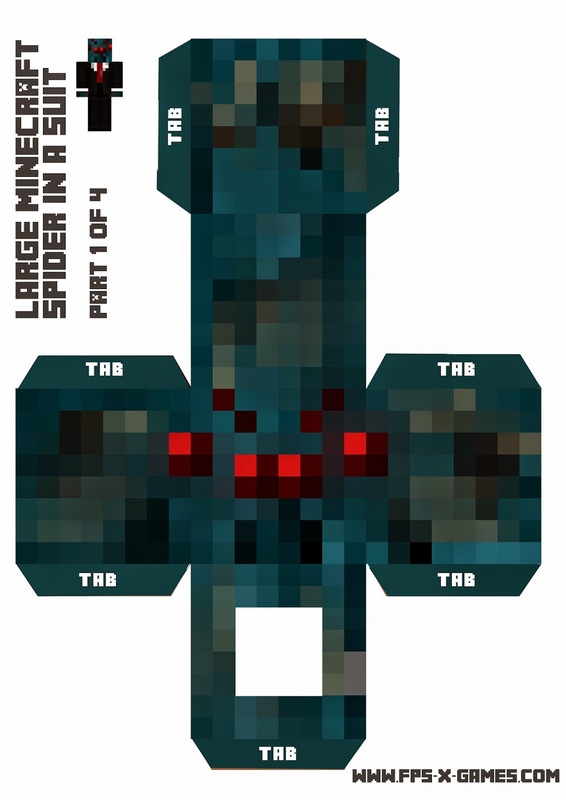 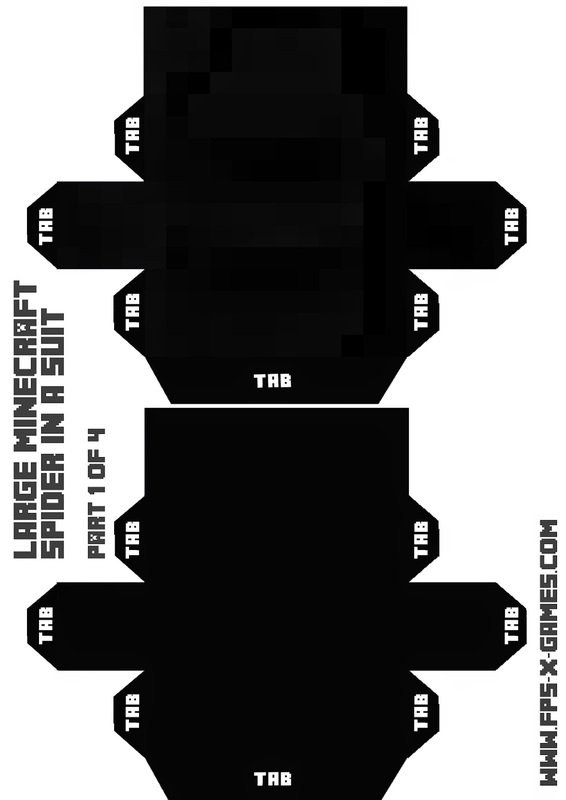 I've used the large (FPSXGames) character templates to create the infamous papercraft spider in a suit model, which happens to be one of my favorite Minecraft skins. 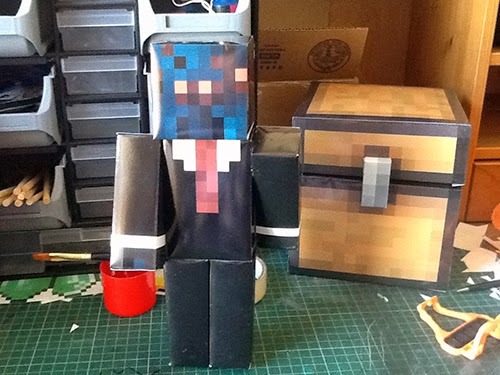 Try creating the papercraft model yourself! 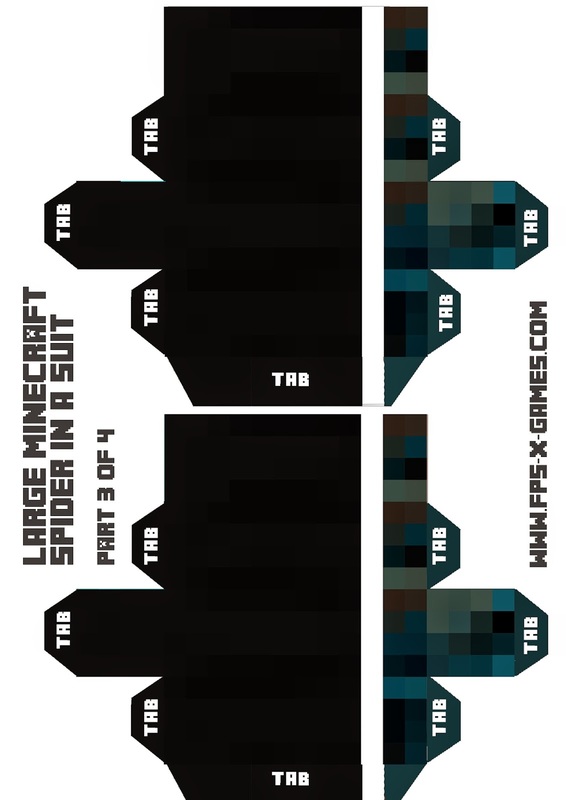 Left click on each template below to open a new window with the full sized A4 image, right click and print or save as. 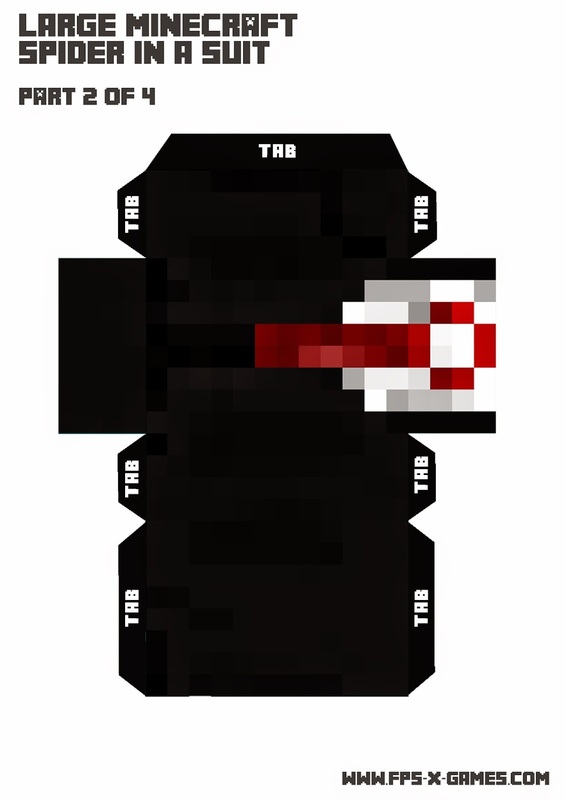 Also available in PDF format for easy printing.